Everyone loves a lazy day. You know, those laid back times when you realize you’ve been slumped in the same spot on the couch for the last six hours, binge-watching your way through the latest Netflix series while sustaining yourself on a diet of salty snacks. But as humans we also know that journeying through the day in such a sedate way should be a treat, not the norm. Cats, unfortunately, seem quite happy to have such a lazy lifestyle every single day if left to their own devices, especially indoor cats. 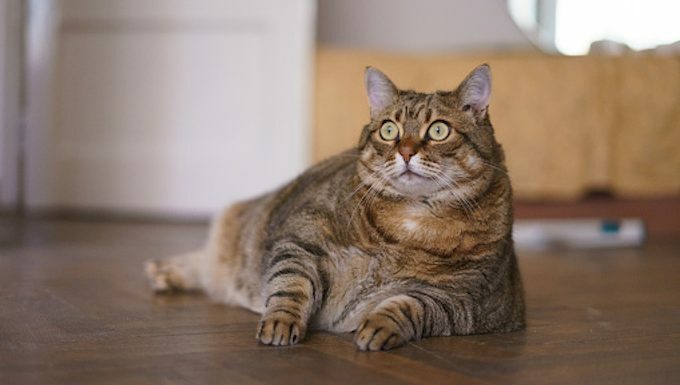 But while it’s cool to embrace the idea of felines snacking and napping their way through the day, there are a few steps you can take as a responsible cat owner to ensure that your cat is getting adequate exercise. This is especially important once the athletic stage of kittenhood blooms into the languid adult cat era. To start with, you’re going to need to think about the dilemma of cat toys. 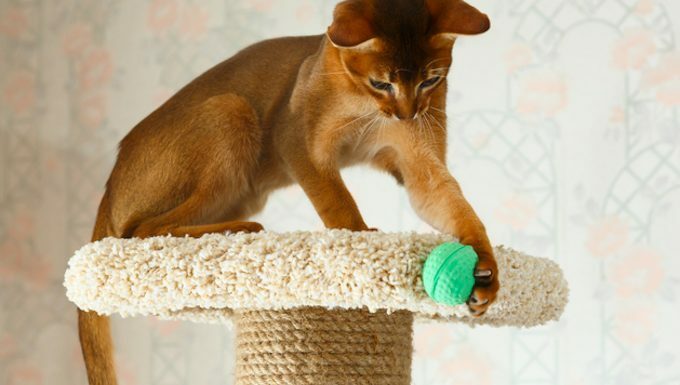 Now I know that there are some easy-going felines out there who will play with anything you throw their way, but many cats are super finicky and dismiss store bought toys, whether they’re cheap plastic balls or expensive electronic contraptions. 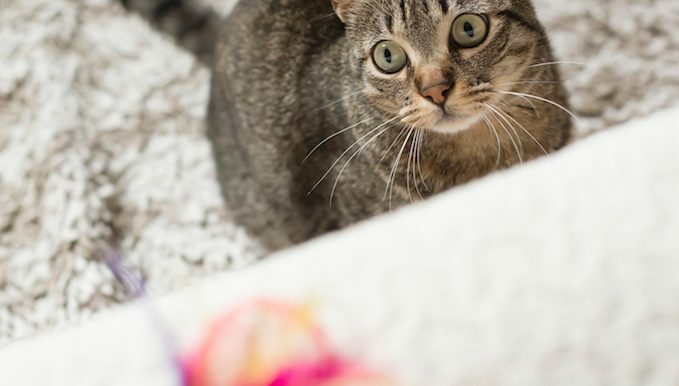 So find out what your cat enjoys and stick to the script, whether that involves fresh catnip toys–crinkle them in your hands to help activate the ‘nip–or newly balled-up shopping receipts. Also, remember that for adult cats, stalking the prey is fun, so demonstrate patience when it seems that your cat is just staring at you while you wiggle a Cat Dancer in vain. A tactically-placed cardboard box on the floor is also a smart way to engage your feline in exercise. Get them to stalk and chase toys around, over, and inside the box. 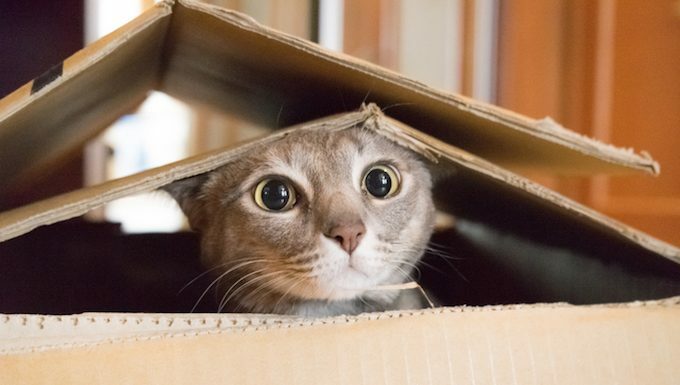 After all, we know that it’s scientifically impossible for cats to resist the lure of cardboard. Height is also key. I know that cat trees are pretty much the epitome of ugly home decor, but think of your cat climbing up to their napping perch as a bite-sized turn on a step machine. If you have the space and DIY nous to mount some cat shelves on the wall, that’s also an easy way to ensure that your feline is having fun while getting their daily step count up. 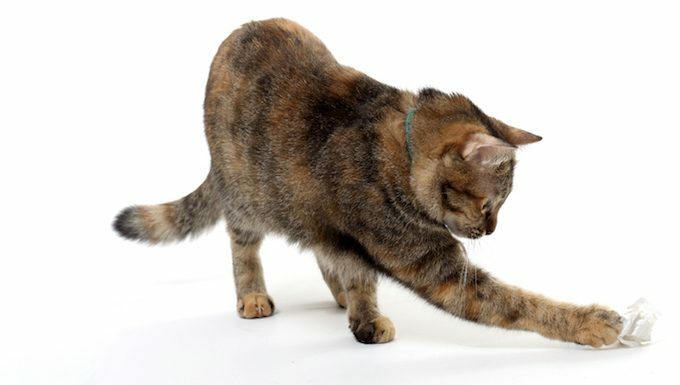 Finally, if you’re in the habit of rewarding your cat with treats, make it part of her exercise regime by throwing them across the floor to chase after. And if you happen to do so from the vantage of the couch, that’s okay, too. How do you keep your cat in shape? Do you have any fun tips for active play time? Let us know in the comments below!